RBTH is launching Coping with the Crisis, a series of stories about how people of different social groups are surviving the economic crisis and how their lives have changed. Our first installment features businessman Alexei Gisak – co-founder of the pan-Asiatic fast-food chain Wokker in Moscow. In the course of just several months, the economic crisis has turned from an ephemeral threat into a serious challenge for Russian businessmen and their livelihoods. One blow came after another; the ban on food imports, suppliers raising their prices, the restrictions on foreign credit and expensive domestic loans. The Ministry of Economic Development has changed its forecast for inflation and GDP growth several times. Last time, it was described as "extremely tough" – an inflation rate of 12 percent a year and a 3-percent drop in GDP with an average oil price of $50 per barrel (earlier it had forecast GDP to fall by 0.8 percent). Real incomes are expected to fall by 6 percent as compared to 2014. The state of the market forced businessmen to act accordingly. 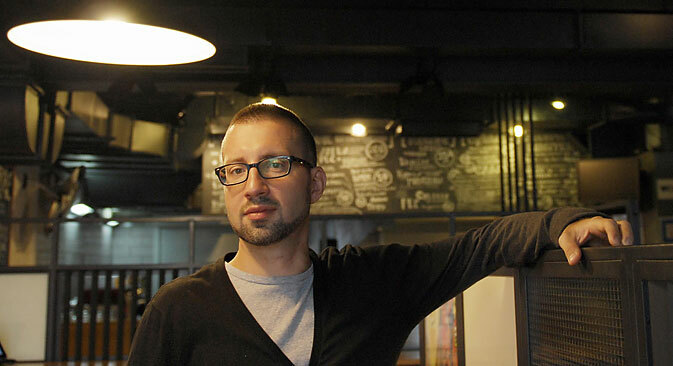 "You have to work much harder now," Alexei Gisak, co-founder of the pan-Asiatic fast-food chain Wokker, tells RBTH. However, for him the crisis is not yet a reason for him to embark on personal economy. "I am definitely not prepared to economize on my quality of life," Gisak says. "In any case, I spend less than I make, and I haven't started to economize on anything, even if I haven’t changed my car. I didn't want to do it during the New Year fever, but prices have soared since. The realization that traveling abroad has become twice as expensive is also not particularly pleasant, according to Gisak. Unlike many others, he didn’t succumb to the universal panic over the devaluation of the ruble. "I didn’t do anything with my savings. I had some money in rubles, but I failed to react at the right moment, so I decided not to touch it." According to Gisak, he had time to invest in real estate in December, but "that purchase had been planned for a long time, it was not an unplanned investment." But where Gisak felt the crisis most acutely was in business, which proved to be much less stable, he admits. The new rental rates have become the most painful issue for businesses. In some cases, they are directly linked to the dollar exchange rate. Under such circumstances, few will be able to afford to pay according to market rates. "For us, rent was linked to the dollar in many places; we have been fighting for discounts since November," says Gisak. "Of course, no one will compensate for the growth of the exchange rate in full, but many are prepared to meet us halfway and offer large discounts. Where they won't negotiate with us and where we won't come to economically acceptable terms, we'll close those outlets," he says. According to Gisak, prices for everything "went up." The suppliers raised their prices, forcing businessmen to make a choice – to bear losses or increase the price of the final product. "We haven't raised our prices, because purchasing capacity has not increased – it's dropped. The decrease in receipts is apparent, profit is minimal," he says. The Wokker chain entered the market during the previous crisis in 2008. But the crisis did not prevent the company from occupying its niche and staying in it. Life is proving easier for newcomers during the current crisis, too. "Such is the situation in the market; it's easier for newcomers to come to terms with lessors and receive preferential terms compared to those who have been working for a while," says Gisak. Instability is the most frightening aspect of the current crisis. "The refinancing rate remaining high, jumps in exchange rates, the behavior of suppliers – it gets on your nerves! You can't make any long-term forecasts," he says. But as he points out, the situation will come to an end, and there is a hope that it will be possible to get out of it within a year or two.